With pressures on forage and bedding materials mounting as a result of the prolonged dry spell, competition for available stock is mounting. Auctioneers at Craven Cattle Marts (CCM), Skipton, say there is increasing discontent that, with reduced supplies available livestock farmers are having to pay record prices for straw to compete against green energy suppliers who are subsidised by government grants. 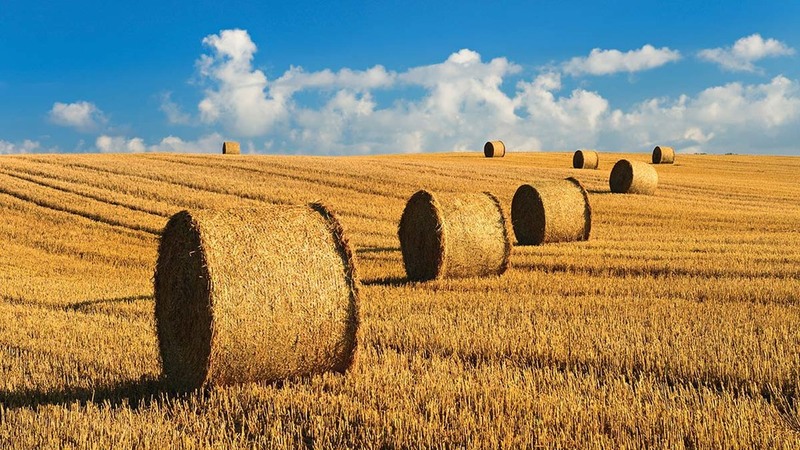 Its weekly produce this week (Monday 30 July) sale saw 2018 barley straw hestons sell to £130 per tonne and a 2017 load sell to £125 per tonne. In support, the National Sheep Association (NSA) said it would like to see a review of current funding availability for crop-based renewable energy production. It said the focus should be on ensuring land is geared towards food production, and that grants and incentives do not distort land and rental values. Phil Stocker, NSA Chief Executive, said: “Forage stocks were completely used up during the harsh winter we experienced. But instead of being able to rebuild stores, the dry weather means sheep farmers are already using winter feeds to sustain flocks due to a shortage of grass. “The risk of feed and bedding shortages is fast approaching and costs are rocketing, yet potential feed stock, cereals, maize and grass, as well as straw for biomass, is dedicated to energy production. “We have already raised serious concerns over crops for energy being eligible for the Basic Payment Scheme (BPS) as well as Renewable Obligation Certificates (ROCs) and Feed in Tariffs (FiTs), as this is a clear example of dual-funding and distorts the market to the disadvantage of livestock farmers. “Purpose-grown energy crops are just one of a number of feedstocks that AD plants can use to produce renewable heat and power, low-carbon transport fuel and nutrient-rich biofertiliser, each of which helps to reduce the UK’s greenhouse gas emissions. “The growing of AD crops as part of an agricultural rotation is a proven farming method that improves soil quality and food production yields and reduces the need for chemical pesticides and herbicides. “Growing crops to produce bioenergy also naturally aids pest and weed control by, for example, controlling the growth of blackgrass, which can no longer be adequately controlled by chemical herbicides. “Our analysis suggests that the growing of crops for AD is not having a significant impact on animal feed or human food outputs. It is important to remember that, compared to other land uses, the impact of land used for growing crops for AD is minimal.